Combined Heat and Power (CHP) is the simultaneous generation of multiple forms of useful energy (usually mechanical and thermal) in a single, integrated system. In conventional electricity generation systems, about 35% of the energy potential contained in the fuel is converted on average into electricity, whilst the rest is lost as waste heat. CHP systems use both electricity and heat and therefore can achieve an efficiency of up to 90%. CHP technologies are well suited for sustainable development projects because they are socio-economically attractive and technologically mature and reliable. In developing countries, cogeneration can easily be integrated in many industries, especially agriculture and food-processing, taking advantage of the biomass residues of the production process. This has the dual benefits of lowering fuel costs and solving waste disposal issues. Distributed generation of electrical and/or mechanical power. Waste-heat recovery for heating, cooling, or process applications. 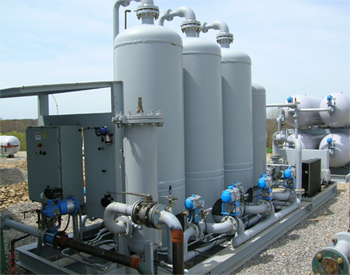 Seamless system integration for a variety of technologies, thermal applications, and fuel types. The success of any biomass-fuelled CHP project is heavily dependent on the availability of a suitable biomass feedstock freely available in urban and rural areas. 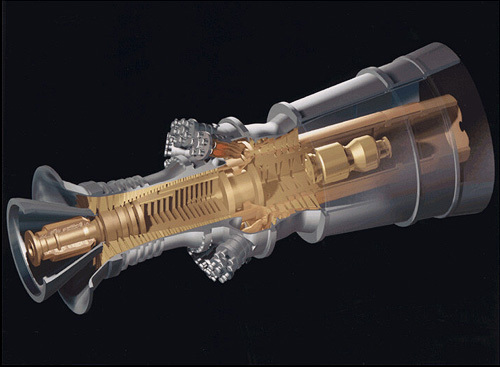 Reciprocating or internal combustion engines (ICEs) are among the most widely used prime movers to power small electricity generators. Advantages include large variations in the size range available, fast start-up, good efficiencies under partial load efficiency, reliability, and long life. Steam turbines are the most commonly employed prime movers for large power outputs. Steam at lower pressure is extracted from the steam turbine and used directly or is converted to other forms of thermal energy. System efficiencies can vary between 15 and 35% depending on the steam parameters. Co-firing of biomass with coal and other fossil fuels can provide a short-term, low-risk, low-cost option for producing renewable energy while simultaneously reducing the use of fossil fuels. Biomass can typically provide between 3 and 15 percent of the input energy into the power plant. 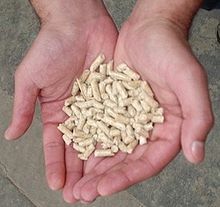 Most forms of biomass are suitable for co-firing. Steam engines are also proven technology but suited mainly for constant speed operation in industrial environments. Steam engines are available in different sizes ranging from a few kW to more than 1 MWe. 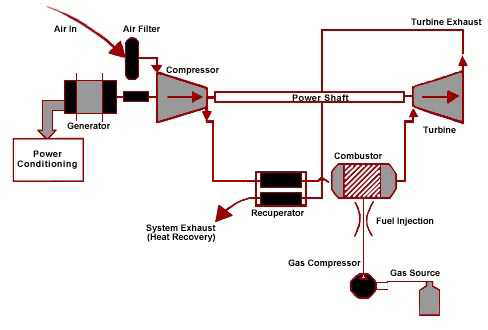 A gas turbine system requires landfill gas, biogas, or a biomass gasifier to produce the gas for the turbine. This biogas must be carefully filtered of particulate matter to avoid damaging the blades of the gas turbine. Stirling engines utilize any source of heat provided that it is of sufficiently high temperature. A wide variety of heat sources can be used but the Stirling engine is particularly well-suited to biomass fuels. Stirling engines are available in the 0.5 to 150 kWe range and a number of companies are working on its further development. A micro-turbine recovers part of the exhaust heat for preheating the combustion air and hence increases overall efficiency to around 20-30%. Several competing manufacturers are developing units in the 25-250kWe range. Advantages of micro-turbines include compact and light weight design, a fairly wide size range due to modularity, and low noise levels. Fuel cells are electrochemical devices in which hydrogen-rich fuel produces heat and power. Hydrogen can be produced from a wide range of renewable and non-renewable sources. 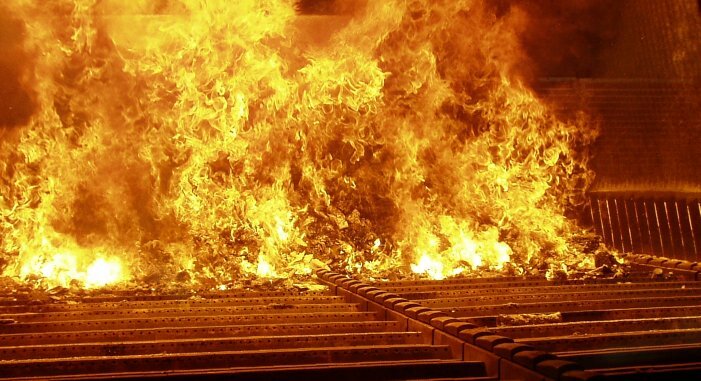 A future high temperature fuel cell burning biomass might be able to achieve greater than 50% efficiency. Malaysia is gifted with conventional energy resources such as oil and gas as well as renewables like hydro, biomass and solar energy. As far as biomass resources in Malaysia are concerned, Malaysia has tremendous agricultural biomass and wood waste resources available for immediate exploitation. 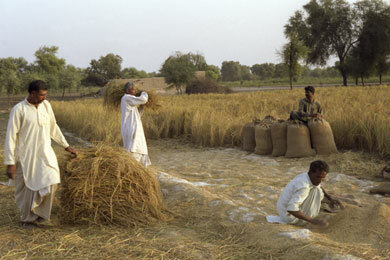 This energy potential of biomass resource is yet to be exploited properly in the country. Taking into account the growing energy consumption and domestic energy supply constraints, Malaysia has set sustainable development and diversification of energy sources, as the economy’s main energy policy goals. The Five-Fuel Strategy recognises renewable energy resources as the economy’s fifth fuel after oil, coal, natural gas and hydro. Being a major agricultural commodity producer in the region Malaysia is well positioned amongst the ASEAN countries to promote the use of biomass as a source of renewable energy. Malaysia is the world’s leading exporter of palm oil, exporting more than 19.9 million tonnes of palm oil in 2017. The extraction of palm oil from palm fruits results in a large quantity of waste in the form of palm kernel shells, empty fruit bunches and mesocarp fibres. 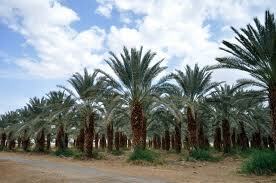 In 2011, more than 80 million tons of oil palm biomass was generated across the country. Processing crude palm oil generates a foul-smelling effluent, called Palm Oil Mill Effluent or POME, which when treated using anaerobic processes, releases biogas. Around 58 million tons of POME is produced in Malaysia annually, which has the potential to produce an estimated 15 billion m3 of biogas. Rice husk is another important agricultural biomass resource in Malaysia with very good energy potential for biomass cogeneration. An example of its attractive energy potential is biomass power plant in the state of Perlis which uses rice husk as the main source of fuel and generates 10 MW power to meet the requirements of 30,000 households. The per capita generation of solid waste in Malaysia varies from 0.45 to 1.44kg/day depending on the economic status of an area. Malaysian solid wastes contain very high organic waste and consequently high moisture content and bulk density of above 200kg/m3. The high rate of population growth is the country has resulted in rapid increase in solid waste generation which is usually dumped in landfills. Biomass resources have long been identified as sustainable source of renewable energy particularly in countries where there is abundant agricultural activities. Intensive use of biomass as renewable energy source in Malaysia could reduce dependency on fossil fuels and significant advantage lies in reduction of net carbon dioxide emissions to atmosphere leading to less greenhouse effect. However, increased competitiveness will require large-scale investment and advances in technologies for converting this biomass to energy efficiently and economically. Biomass fuels are typically used most efficiently and beneficially when generating both power and heat through biomass cogeneration systems (also known as combined heat and power or CHP system). 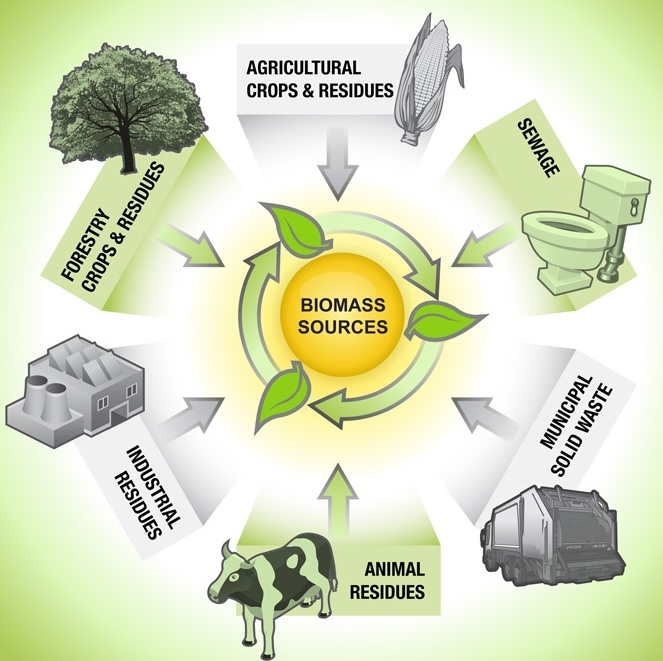 Biomass conversion technologies transform a variety of wastes into heat, electricity and biofuels by employing a host of strategies. Conversion routes are generally thermochemical or biochemical, but may also include chemical and physical. The simplest way is to burn the biomass in a furnace, exploiting the heat generated to produce steam in a boiler, which is then used to drive a steam turbine. Advanced biomass conversion technologies include biomass integrated gasification combined cycle (BIGCC) systems, cofiring (with coal or gas), pyrolysis and second generation biofuels. Biomass cogeneration systems consist of a number of individual components—prime mover (heat engine), generator, heat recovery, and electrical interconnection—configured into an integrated whole. The type of equipment that drives the overall system (i.e., the prime mover) typically identifies the CHP unit. Prime movers for biomass cogeneration units include reciprocating engines, combustion or gas turbines, steam turbines, microturbines, and fuel cells. These prime movers are capable of burning a variety of fuels, including natural gas, coal, oil, and alternative fuels to produce shaft power or mechanical energy. Biomass receiving and feedstock preparation. 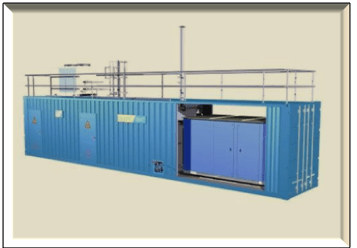 Energy conversion – Conversion of the biomass into steam for direct combustion systems or into biogas for the gasification systems. The lowest cost forms of biomass for cogeneration plants are residues. Residues are the organic byproducts of food, fiber, and forest production, such as sawdust, rice husks, wheat straw, corn stalks, and sugarcane bagasse. Forest residues and wood wastes represent a large potential resource for energy production and include forest residues, forest thinnings, and primary mill residues. Energy crops are perennial grasses and trees grown through traditional agricultural practices that are produced primarily to be used as feedstocks for energy generation, e.g. hybrid poplars, hybrid willows, and switchgrass. Animal manure can be digested anaerobically to produce biogas in large agricultural farms and dairies. To turn a biomass resource into productive heat and/or electricity requires a number of steps and considerations, most notably evaluating the availability of suitable biomass resources; determining the economics of collection, storage, and transportation; and evaluating available technology options for converting biomass into useful heat or electricity. Raw biogas contains approximately 30-45% of CO2, and some H2S and other compounds that have to be removed prior to utilization as natural gas, CNG or LNG replacement. Removing these components can be performed by several biogas upgrading techniques. Each process has its own advantages and disadvantages, depending on the biogas origin, composition and geographical orientation of the plant. The biogas-to-biomethane conversion technologies taken into account are pressurized water scrubbing (PWS), catalytic absorption/amine wash (CA), pressure swing absorption (PSA), highly selective membrane separation (MS) and cryogenic liquefaction (CL) which are the most common used biogas cleanup techniques. The Table below shows a comparison of performance for these techniques at 8 bar (grid) injection. Thermal energy use 0,82-1.3 kWth/Nm3 prod. *3 Activated carbon (AC) consumption is depending on the presence of certain pollutants (trace components) within the raw biogas. From the above Table, it can be concluded that the differences between technologies with respect to performance seem to be relatively small. However, some “soft factors” can have a significant impact on technology selection. For example, water scrubber technology is a broadly applied technology. The requirement for clean process water, to make up for discharge and condensation, could be a challenging constraint for remote locations. Moreover, PWS systems are prone to biological contamination (resulting in clogged packing media and foaming), especially when operated at elevated temperatures. Without additional preventative measures this will result in an increase of operational issues and downtime. Amine scrubbers are a good choice when surplus heat is available for the regeneration of the washing liquid. The transport and discharge of this washing liquid could however be a burden, as well as the added complexity of operation. With respect to cryogenic Liquefaction (CL) one may conclude that, this technology has a questionable track-record, is highly complex, hard to operate, and should therefore not be selected for small-medium scale applications. Both PSA and MS provide a “dry” system, both technologies operate without the requirement for a solvent/washing liquid, which significantly simplifies operation and maintenance. Distinctive factor between these technologies is that the membrane based system operates in a continuous mode, while the PSA technology is based on columns filled with absorption materials which operate in a rotating/non-continuous mode. Moreover, the membrane based system has a more favourable methane slip, energy consumption and turndown ratio. The biggest advantage over PSA however, is that membrane systems do not require any transport of absorbents, its ease of operation and superior up-time. Main disadvantage of membrane systems are that they are sensitive to pollution by organic compounds, which can decrease efficiency. However, by applying a proper pre-treatment (generally based on activated carbon and condensation) in which these compounds are eliminated, this disadvantage can be relatively easy nullified. Based on membrane technology, DMT Environmental Technology, developed the Carborex ®MS. A cost-effective plug and play, containerized (and therefore), easy to build in remote locations) biogas upgrading system. The Carborex ®MS membrane system has relatively little mechanical moving components (compared to other upgrading technologies) and therefore, ensures stability of biomethane production, and consequently, the viability of the biogas plant operation. Moreover, its design for ease of operation and robustness makes this technological platform perfectly suitable for operation at locations with limited experience and expertise on handling of biogas plants. Capture of biogas through application of closed ponds or AD’s is not only a necessity for mitigation of greenhouse gas emissions, it is also a method of optimizing liquid waste treatment and methane recovery. Billions of cubic meters of biomethane can be produced on a yearly basis, facilitating a significant reduction of fossil fuel dependency. Moreover, upgrading of raw biogas-to-biomethane (grid, CNG or LNG quality) provides additional utilization routes that have the extra advantage to be independent of existing infrastructure. To sum up, membrane based technology is the best way forward due to its ease of operation, robustness and the high quality of the end-products. Lems R., D. E. (2012). Next generation biogas upgrading using high selective gas separation membranes. 17th European Biosolids Organic Resources Conference. Leeds: Aqua Enviro Technology . Robert Lems, E. D. (2010). Making pressurized water scrubbing the ultimate biogas upgrading technology with the DMT TS-PWS® system. Energy from Biomass and Waste UK . London: EBW-UK . Prior to practically all utilization options, the biogas has to be dried (usually through application of a cooling/condensation step). Furthermore, elements such as hydrogen sulphide and other harmful trace elements must be removed (usually trough application of an activated carbon filter) to prevent adverse effects on downstream processing equipment (such as compressors, piping, boilers and CHP systems). Although biogas is perfectly suitable to be utilized in boilers (as an environmental friendlier source for heat and steam production), this option is rather obsolete due to the abundance of alternative sources from solid waste origin. Most Palm Oil Mills are already self-reliant with respect to heat and steam production due to the combustion of their solid waste streams (such as EFB and PKS). Consequently, conversion to electricity (by means of a CHP unit) or utilization as natural gas, CNG or LNG replacement, would be a more sensible solution. The biogas masterplan as drafted by the Asia Pacific Biogas Alliance foresees a distribution in which 30% of the biomethane is used for power generation, 40% for grid injection and 30% as compressed/liquefied fuel for transportation purpose (Asian Pacific Biogas Alliance, 2015). For each project, the most optimal option has to be evaluated on a case to case basis. Main decision-making factors will be local energy prices and requirements, available infrastructure (for gas and electricity), incentives and funding. For the locations where local demand is exceeded, and no electricity or gas infrastructure is available within a reasonable distance (<5-10 km, due to investment cost and power loss), production of CNG could offer a good solution. Moreover, during the utilization of biogas within a CHP unit only 40-50% of the energetic content of the gas is converted into electricity. The rest of the energy is transformed into heat. For those locations where an abundance of heat is available, such as Palm Oil Mills, this effectively means that 50-60% of the energetic content of the biogas is not utilized. Converting the biogas into biomethane (of gas grid or CNG quality) through upgrading, would facilitate the transportation and commercialisation of over 95% of the energetic content of the biogas. Within the CNG utilization route, the raw biogas will be upgraded to a methane content of >96%, compressed to 250 bar and stored in racks with gas bottles. The buffered gas (bottles) will be suitable for transportation by truck or ship. For transportation over large distances (>200km), it will be advised to further reduce the gas volume by converting the gas to LNG (trough liquefaction). The rapid economic growth and industrialization in Southeast Asian region is characterized by a significant gap between energy supply and demand. The energy demand in the region is expected to grow rapidly in the coming years which will have a profound impact on the global energy market. In addition, the region has many locations with high population density, which makes public health vulnerable to the pollution caused by fossil fuels. Another important rationale for transition from fossil-fuel-based energy systems to renewable ones arises out of observed and projected impacts of climate change. Due to the rising share of greenhouse gas emissions from Asia, it is imperative on all Asian countries to promote sustainable energy to significantly reduce GHGs emissions and foster sustainable energy trends. Rising proportion of greenhouse gas emissions is causing large-scale ecological degradation, particularly in coastal and forest ecosystems, which may further deteriorate environmental sustainability in the region. The reliance on conventional energy sources can be substantially reduced as the Southeast Asian region is one of the leading producers of biomass resources in the world. Southeast Asia, with its abundant biomass resources, holds a strategic position in the global biomass energy atlas. There is immense potential of biomass energy in ASEAN countries due to plentiful supply of diverse forms of wastes such as agricultural residues, agro-industrial wastes, woody biomass, animal wastes, municipal solid waste, etc. Southeast Asia is a big producer of wood and agricultural products which, when processed in industries, produces large amounts of biomass residues. According to conservative estimates, the amount of biomass residues generated from sugar, rice and palm oil mills is more than 200-230 million tons per year which corresponds to cogeneration potential of 16-19 GW. Woody biomass is a good energy resource due to presence of large number of forests and wood processing industries in the region. The prospects of biogas power generation are also high in the region due to the presence of well-established food processing, agricultural and dairy industries. Another important biomass resource is contributed by municipal solid wastes in heavily populated urban areas. In addition, there are increasing efforts from the public and private sectors to develop biomass energy systems for efficient biofuel production, e.g. biodiesel and bioethanol. The rapid economic growth and industrialization in Southeast Asia has accelerated the drive to implement the latest biomass energy technologies in order to tap the unharnessed potential of biomass resources, thereby making a significant contribution to the regional energy mix.